Saag Wala Chicken or Palak Chicken is an outrageously delicious dish, full of flavor and loaded with nutrients!! It’s a fantastic combination of delicious ingredients that are cooked together to create the yummiest dishes of all. “Saag” is a Punjabi term used for all leafy green preparations made with either spinach leaves, fenugreek leaves, mustard leaves or collard leaves. And saag wala chicken or palak chicken is one of them – an authentic Indian recipe and a real keeper. Sharing with you, my mom’s way of making palak chicken. Growing up, my mom’s palak chicken was my favorite. She was a great cook and would cook this chicken every other weekend as a part of our Sunday brunch. How To Saag Wala Chicken? I begin the recipe by blanching spinach leaves. Blanching is the best way to preserve the nutrients and flavor of the greens. This way it adds a lovely color and texture to the dish. Next step is to prepare the gravy. Ghee adds a depth of flavor to this dish but feel free to use oil as a substitute. Instead of curd, cashew paste can be added to the gravy for a creamy texture. Chicken can be substituted with mutton but overall cooking time will vary as lamb takes longer to cook. Enjoy the goodness of spinach and chicken in this hearty and healthy recipe. Do give this delicious recipe a try and I am sure you are going to love it as much as we do!! These elegant recipes will rock your parties!! Chicken seekh kebab, Afghani seekh kebab, kakori kebab, Keema samosa, Tandoori chicken, kalmi kebab, chicken chop, Dhaba style chicken, Chicken Keema, Butter Chicken. Boil water in a pan. Add spinach. Let it boil for 2-3 minutes. 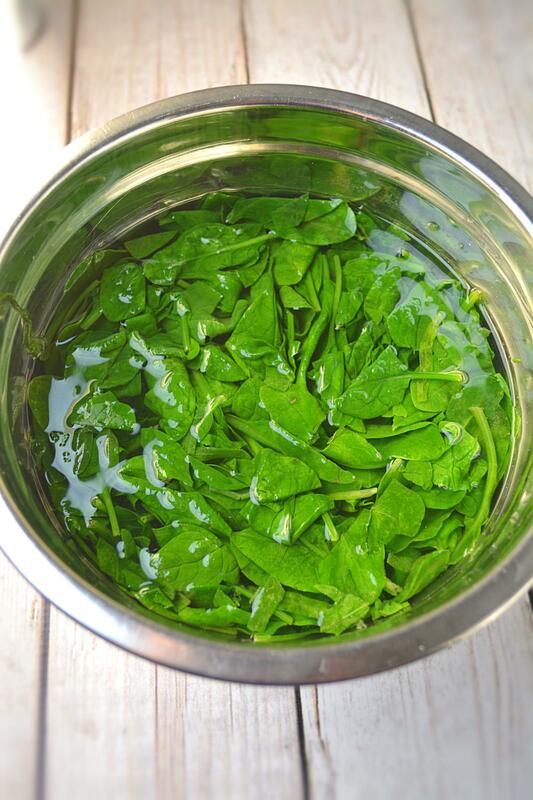 Using a slotting spoon remove spinach and..
Drop into a large bowl of ice water. Once cooled, drain and coarsely ground spinach. Save the water in which spinach was boiled. Can be used in the chicken later. Wash and clean tomatoes. Apply a small incision in tomatoes and drop them in a potful of boiling water for 7-9 minutes. Soon you will notice the skin peeling off from the tomatoes. Using a slotted spoon remove tomatoes from hot water and give them a cold bath by dropping in cold water. This will speed up the peeling process. Peel off the tomato skin and discard. Using a sharp knife chop the juicy flesh of tomatoes. Assemble all the masala ingredients. To make the masala - add ghee to a hot pan, add whole spices and cumin seeds. As they start to sputter, add ginger-garlic paste. Mix and saute for 5-6 SECONDS. Stir in onion paste and mix. Keep sauteing till all the liquid has evaporated and masala looks all dried. Stir in chopped tomatoes. Add tomato puree and stir in all the dry spices one by one. I prefer to cook garam masala powder along with my gravy, instead of adding it at the last minute. This way it releases more flavor and adds heat to the gravy. Add beaten curd and give it a good mix. Cook for another 2-3 minutes till the masala is reduced in size and ghee starts to separate. Add pureed palak to it. Mix well and allow it to simmer for 20- 25 minutes till palak color changes from light green to dark green in color. Meanwhile clean and wash chicken pieces. Add chicken pieces to cooked palak. Mix and pour 1/2 cup of water. Cover and cook till chicken pieces are fully cooked. It will take approximately another 20 minutes. Add sugar if you feel the saag taste bitter. Saag chicken is ready. Garnish it with cream and serve hot over rice or chapati. If you prefer you can use mutton instead of chicken, cooking time will vary. do I have to boil spinach? another step I would rather not take. is it necessary? Tried it today. Came out really well and healthy too. Thanks for this recipe. Just cooked this recipe and it tastes amazing. Thank you for sharing. I tried this recipe today its look nd tastes amazing. Thanks for your feedback Nitasha! Tried this for lunch today n tasted rlly rlly yumm! Was quite not sure how Palak n Chkn wud taste together. But ur recipe rocked it! Thanks Ruchi fr the awesome recipe. Pleasure is all mine, Laya! Hi Ruchi. Can we marinate the chicken in yogurt and still follow the same steps? Amazing recipe. Thank you for all the yummiest recipes Ruchi. Hi you mentioned Curd or Cashew paste is this something that is easy to get from most supermarkets. Curd is yogurt and yes that’s readily available in supermarkets. I have tried this recipe and it turned out real good. Sorry to brag! I am going to cook it again for guests tomorrow. I am from Delhi and this is the best time for all types of saags. I would also like to try meethi chicken. Meethi is sometimes a liitle bitter, when cooked. How can that be fixed? Awesome. Thanks for your kind words and wonderful feedback Manali!Glad to hear that you liked the recipe. This is how I remove bitterness from methi. Just like spinach, I blanch methi. Since methi is bitter than spinach, I add a teaspoon of lemon juice along with salt to the boiling water. Blanch as directed and then drain the excess water. This will take care of the bitterness. In ingredients section you have mentioned sugar also but in recipe it’s not used anywhere. Pls clarify. Sonia, add suagr only if the saag tastes bitter. Have updated the recipe. Thanks! Hi.. Will be trying this recipe right now. Just had a few doubts… Is the tomato puree store bought?? If yes.. What would be the other option. You have mentioned half cup of onion paste.. How many onions would that be approximately? Yes, I have used store bought tomato puree. You can substitute it with fresh tomatoes (in pureed form). 1/2 cup onion paste equals 2 medium onions or 1 large onion. Thanks for trying. Glad you liked. Thanks Ruchi, for sharing your experience with me. Glad you liked the recipe. I want to make this Chicken Saag today…it looks so delicious! I was wondering if it keeps in the fridge for a few days. If so, does it reheat nicely? Thanks Jacquie! Prepared saag stays good in the refrigerator for 2 days (depending on the weather). Chicken saag freezes beautifully. Prepare the saag, once cooled transfer it to a airtight container and freeze. When ready to use, thaw for 3-4 hours in the fridge. Warm it over the cooktop or in the microwave and enjoy!! This was amazing , the flavours everything ! Please clarify how much spinach in dry weight. Thank you. Thanks for stopping by Betty. 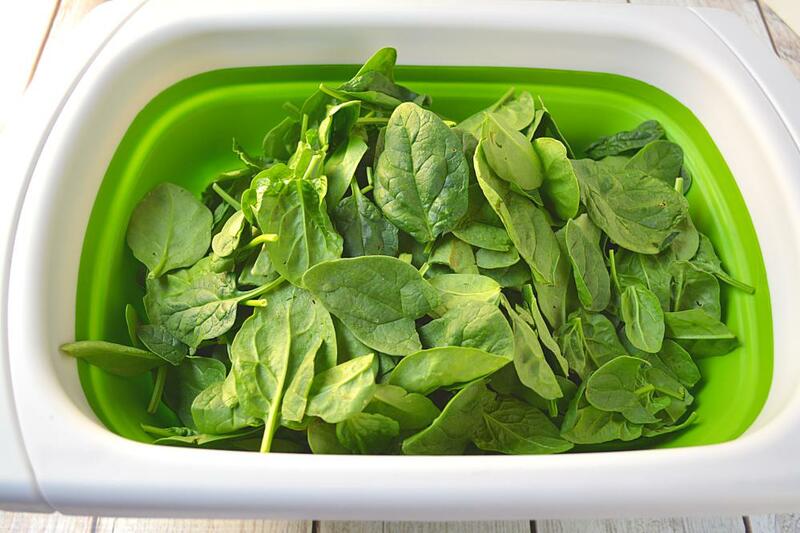 The dry equivalents are 3 lb fresh spinach leaves = 2 cup cooked spinach = 2 (10 ounce) frozen spinach packets. I’m making the saag chicken tonight and so far it looks and smells awesome ! I made this in the weekend and it was yummo. The instructions were very good however just one small problem I had trying to work out how much spinach makes 2 cups pureed spinach…ended up doing 3 batches of spinach to get the right amount lol. A weight of the dried spinach before cooking would be very useful here. Thanks for trying the recipe Mich! Glad you liked. I had to mention I’m grateful I came onto your page! Its fabulous. Simply love it with systematic and step wise layouts and presentations. Tried this recipe word to word and its too delicious. We were licking our fingers which is strictly prohibited in my home. Drool worthy recipes and such lovely pictures.
. Marinating it in curd or vinegar sounds like a great option. This was so delicious and easy once I memorised the order of things. I’ll definitely come back to this recipe as a base for experimentation. I’ve never used pureed onions, such a nice flavour that disperses evenly, it’s so obvious! My sensitive eyes preferred this method much more than blindly, ferociously chopping. Thanks for such a great recipe and for introducing my to new things! Hi, I’m a Malaysian Punjabi n i had a meal of this super Saag WalaChicken in a restaurant in Glasgow n back home now I was looking for a gud receipe ……find yours to be a perfect one….well explained with illustrations.Tq Rushi. Thanks so much for your wonderful recipe and great easy to follow photographs. Its a beauty, my current food obsession. Ive tried many Saagwala type recipes but not come close to this. I have made a few small changes, but its your method of making the pastes with the onions, tomatoes garlic and ginger that really make a difference I think. Thanks again…..its on the menu again tonight! I tried this recipe it turned out to be yummy. My husband and me just loved it. Used the same measurement like you mentioned thanks for sharing this recipe. This is an easy way of getting palak into our systems. Thanks again. By any chance what would be equivalent of using fresh garlic and ginger instead of pastes? Miri, substitute 2-3 cloves of chopped garlic for 1 teaspoon of garlic paste and substitute 1 teaspoon ginger paste for 2 inch piece of freshly grated ginger. hi. your recipe states 3 tomatoes, but in the tutorial pics u have used 8 tomatoes. Please clarify bcos i want to use double the amount of chicken. Doc Rock, only three tomatoes are used in the recipe. It’s just the procedure that is shown in pics. If you scroll down to pic 3 you will see three peeled and chopped tomatoes. I made palak chicken with this recipe today. It was yum and my guests loved it. This is the best chicken saag recipe I’ve tried. yum yum! Thanks for trying the recipe Michelle and sharing your feedback with me. 🙂 Glad you liked the recipe!! Thanks for pointing that out Reena. It has been fixed. You need 1/2 kg chicken. Amazing..truly wonderful recipe. Perfect balance of spices and steps are clearly marked. Thanks Ruchi. you made my dinner extra special today! Tried this and very tasty results. I don’t like spinach that much but seeing this recipe was tempted to try it out, great successful recipe and at home everyone is asking for a second round of it. Thanks Ruchi! Very authentic and amazingly delicious recipe. In fact the chicken pieces got coated so well in the palak gravy that everyone licked there fingers and plate. It took me about 55 minutes from start to finish and the dish came out beautifully. 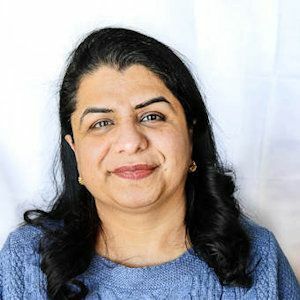 Ruchi, your recipes are well written and explained and that is why I come back to your site more often. Thanks for a successful recipe. What a recipe. Too good and so delicious. Ruchi, love the way you display your cooking talent! I am a huge admirer of your work. I wanted to thank you for taking the time in showing such detailed pictures and steps. I have little experience with Indian cooking, and your tutorials make all the difference in the world. I know it takes a lot of time, but thank you. You are very welcome Kathy and thanks for stopping by!! Loved ur recipes.. Tried few of ur Indian snack recipes n came out very good.. Please don’t mind me asking but do u share videos for non-veg recipes too.. If yes, I would be happy to watch them n try cooking..